Having the attention span of a gnat, my head is getting proper done in by watching and reading the impenetrable stuff coming out of WCIT in Dubai – and we’re only 3 days in. Luckily persons smarter than I are making more sense of it online for me to read on blogs & Twitter – Thank heavens for a vibrant and pluralistic and open Web, eh? So I thought the best contribution I could make for others like myself would be to present these complex and high level debates as a series of tired old memes. 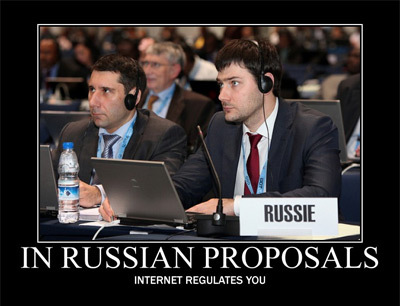 It’s my way of honouring Russia’s proposals to the ITU that countries should be able to restrict the Net to just “rational” uses. 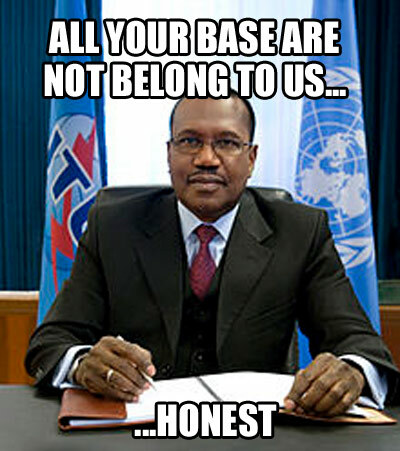 ITU Sec Gen Hamadoun Toure has been rather at pains in the run up to Dubai to point out that all the nasty things being said about the ITU are terribly unfair, but especially that the ITU doesn’t have plans to regulate the Internet. 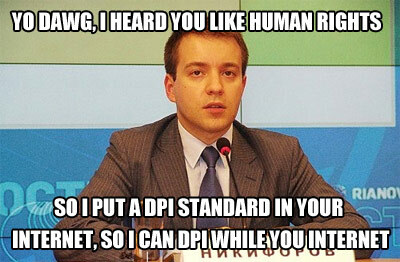 The ITUC have documented their own ding dong with him, and he does indeed have half a point, but it’s also fair to say the proposals do amount to an attempt to secure at least a greater degree of ITU involvement in Internet regulation (which may be a good or bad thing), and various ITU members definitely are seeking more of same, even if Dr Toure might be too modest himself. 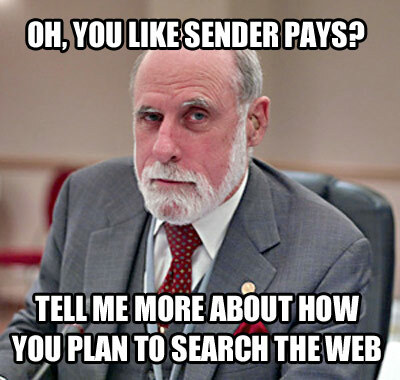 Internet supreme being Vint Cerf (co-inventor of TCP/IP and now Google’s official Internet Evangelist) has been rather exercised about all of this. 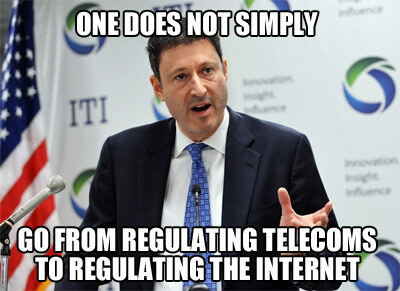 Whilst an open internet brings with it other problems (monopoly search providers anyone? ), it’s been the major driver in building the rapid innovation that’s given us so much in recent decades. Developing countries may well be a tad pissed off that they’re paying for the delivery of Google’s services to their citizens, and fancy a slice of Google’s earnings for their assistance, but I’d worry that they’ve more to lose by the greater digital divide of being cut off from global services running on micropayments that wouldn’t generate enough ARPU in many countries for it to be worth the sending. US Ambassador Terry Kramer tried some bold ITUjitsu, to limit the scope of WCIT’s decisions just to the telecoms services type stuff the body was set up for, and to leave off regulating internet companies that don’t actually own any wires. This didn’t go down all that well, though he can’t hear the fat lady quite as well as the others yet. The Russians have been keen to get standards for Deep Packet Inspection included in WCIT’s deliberations. Cynics might say this could be to legitimise some of their restrictive practices by letting them say they’re only keeping to UN standards, or maybe to try to get other governments doing it too, so they don’t look so bad. But of course, maybe they just want to know what a DPI is for certain so they can make certain they never do anything that naughty? (BoingBoing has the leaked text). And of course if you find this all less LOLworthy than me, there’s still time to sign the TUC/ITUC petition to delegates. And Mozilla have some great resources and pointers for people wanting to get stuck in over WCIT.